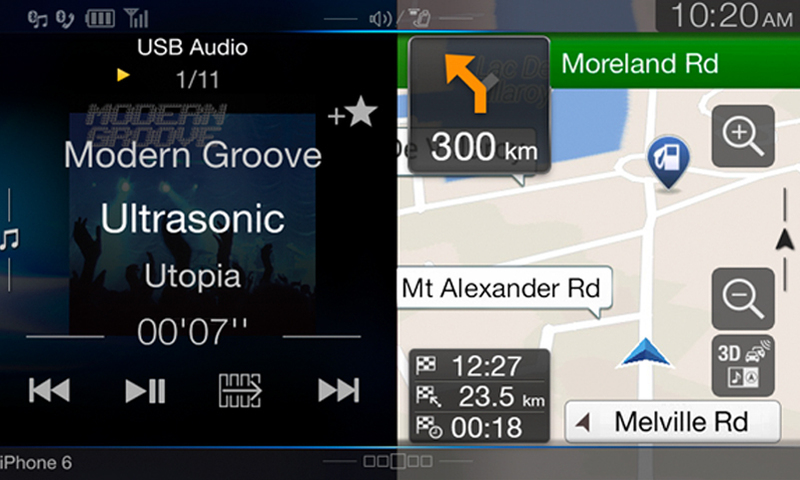 Sound In Motion, the Home of Alpine Car Stereo and In-Car Navigation Systems on the Sunshine Coast. 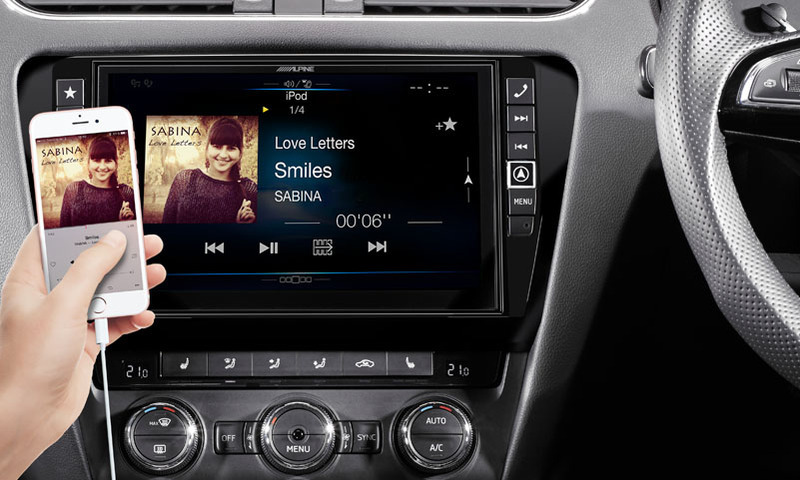 Alpine introduces a new infotainment system design for the Skoda Octavia. 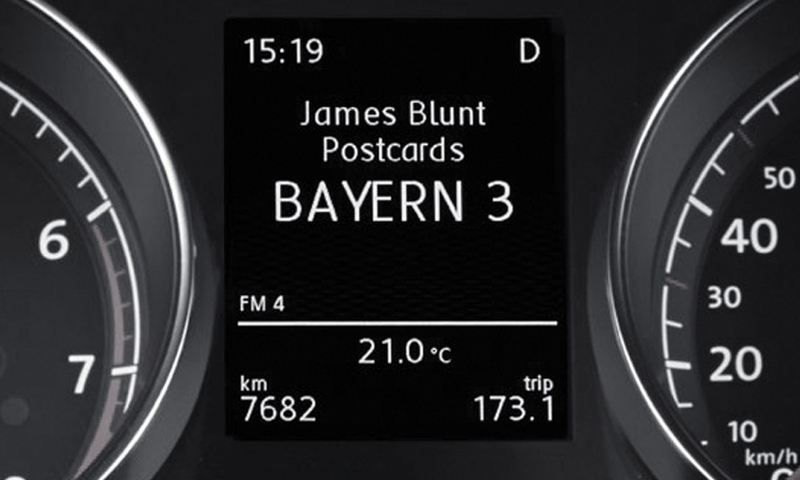 Providing a brilliant 9-inch capacitive touch screen that perfectly integrates into the Octavia to bring the latest media compatibility, cutting-edge navigation technology and audiophile sound quality to your vehicle. All components are designed to fit perfectly in existing installation locations and integrate fully with the vehicle’s electronic systems. 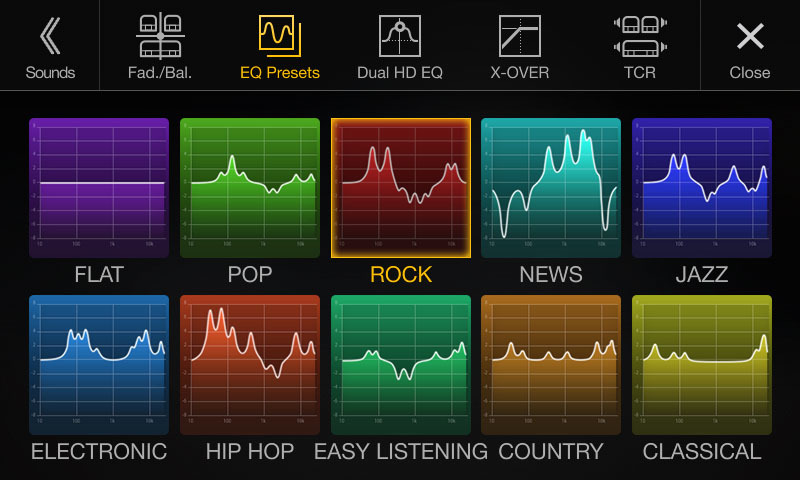 A remarkable new level of digital entertainment is achieved with incredible audiophile sound quality and stunning high resolution picture. 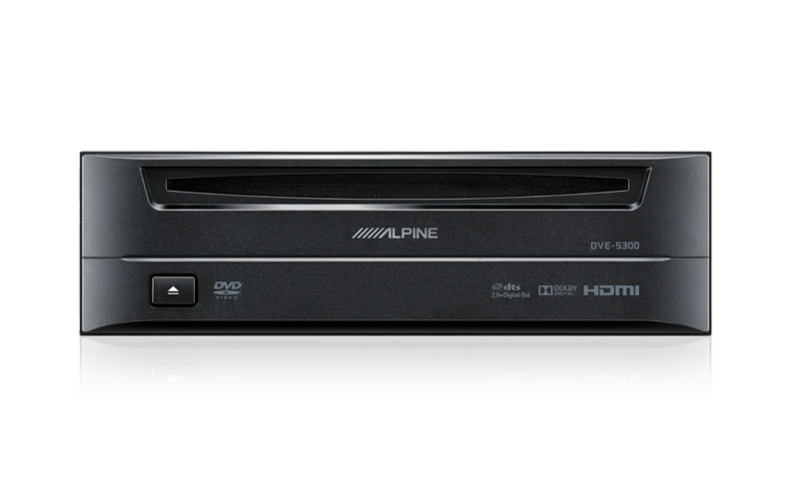 Featured is a wide array of supported connectivity such as DAB+ Digital Radio, USB for high resolution FLAC audio and AVI/MP4 video playback, or CD/DVDs from the optional optical drive. 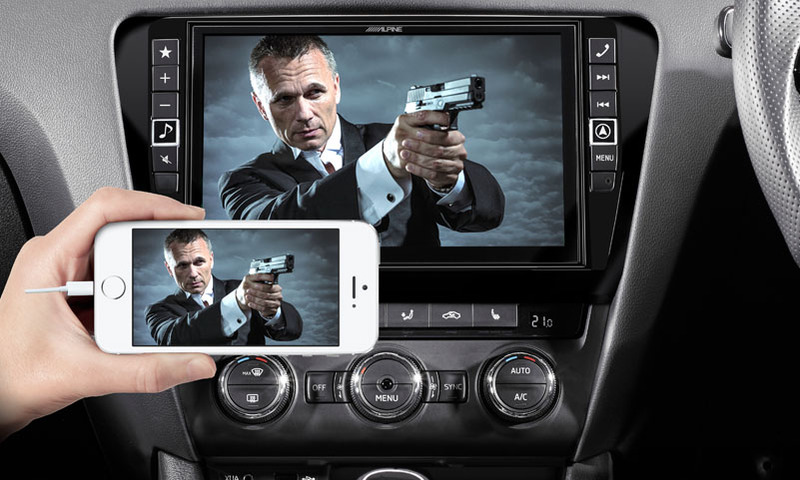 Plus, connect your smartphone via bluetooth to enjoy music and hands-free calls or even display your phone screen on the 9” screen via HDMI. 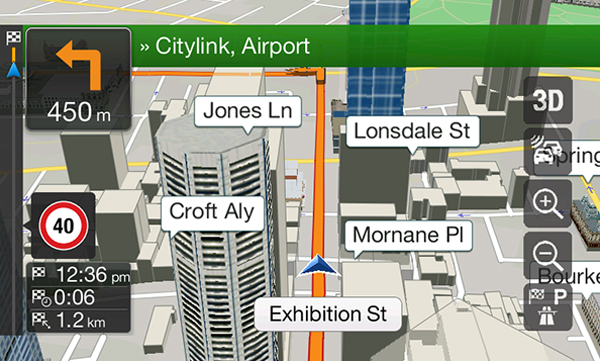 The integrated cutting-edge navigation technology makes driving easier with features including 3D maps and landscapes, lane guidance, live traffic updates, speed and camera alerts, a comprehensive POI (points of interest) database, and 3 years of free map updates. 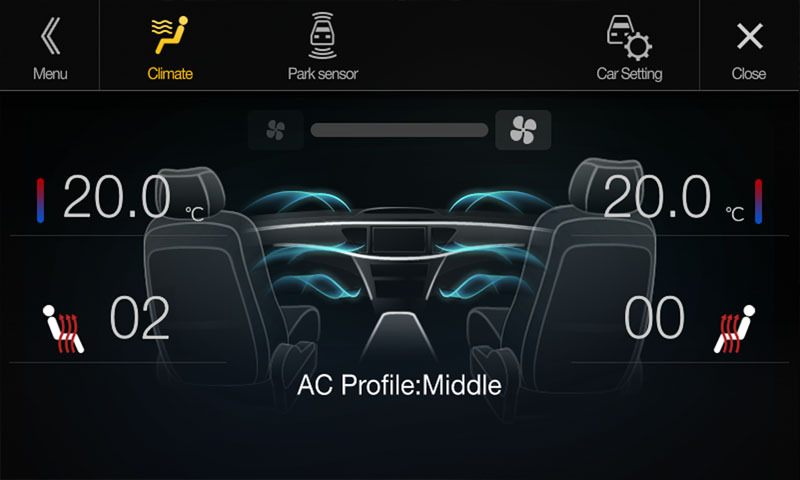 All of the components of the Alpine X901D-OC3 are designed to fit seamlessly as a brilliant centrepiece in the Skoda Octavia dashboard. Turn your dashboard into a high-end cinematic experience: the highlight of the Alpine system is the high-resolution 9-inch touch screen – the largest screen for a Skoda Octavia 3 dashboard to date. In fact, it is more than 80% larger than the standard 7-inch Skoda Bolero screen found in most Skoda Octavia 3s. This extra-large size display will amaze you by its brilliant, high-resolution image quality – you must see it to believe it. 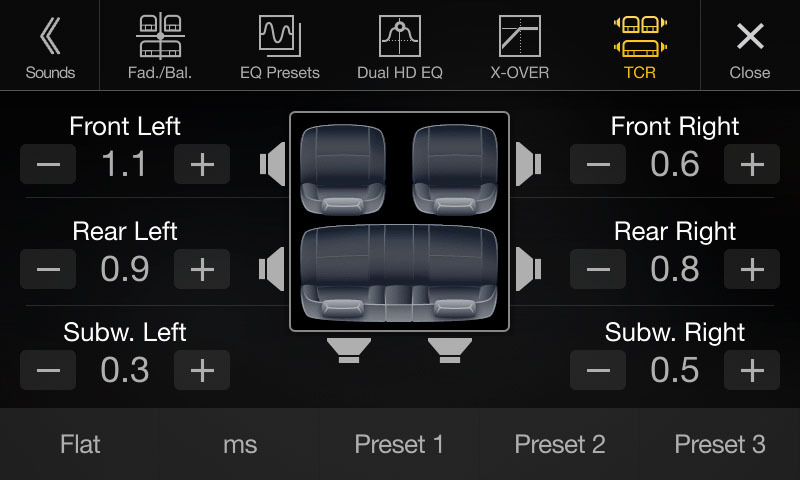 Alpine’s system integrates with your steering wheel controls to maintain full control over volume, phone functions, audio track forward/backward and many other commands. 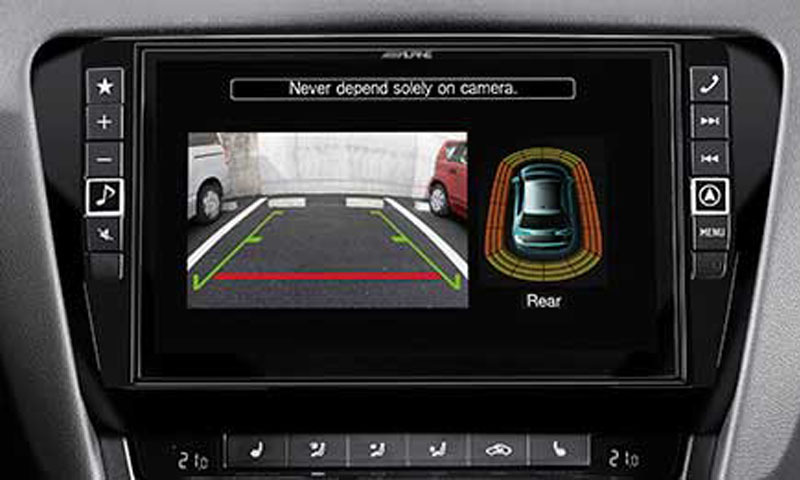 If your Octavia has the original Skoda reverse camera installed it can be simply connected to the Alpine system as well. 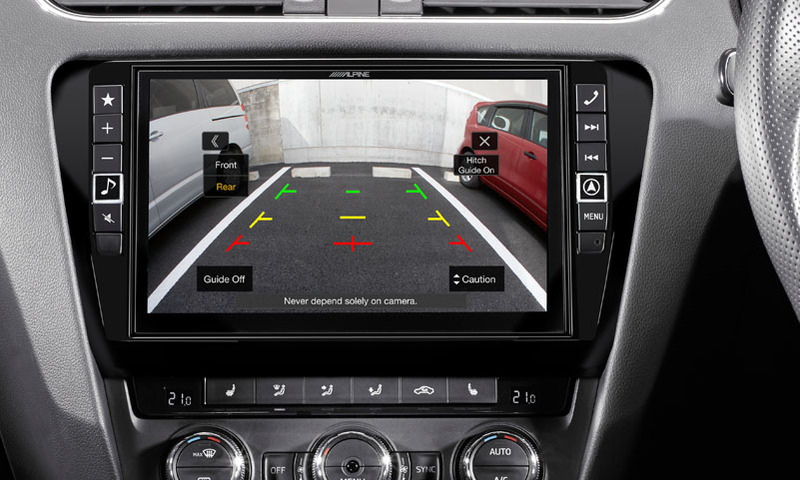 Alpine’s full vehicle integration provides factory parking sensor retention on the large Alpine screen, for a clear, convenient distance display as well as proximity sounds with automatic mute of music when parking. The Alpine X901D-OC3 gives you visual feedback for the selected temperature of driver and co-driver, AC status, seat heating level, selected air vents and more. 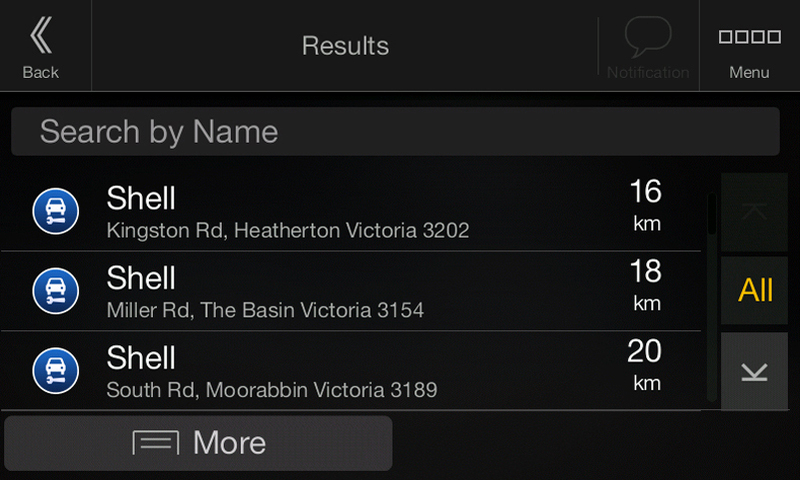 This screen will automatically appear for a few seconds when any of the named settings is changed to give the driver feedback. 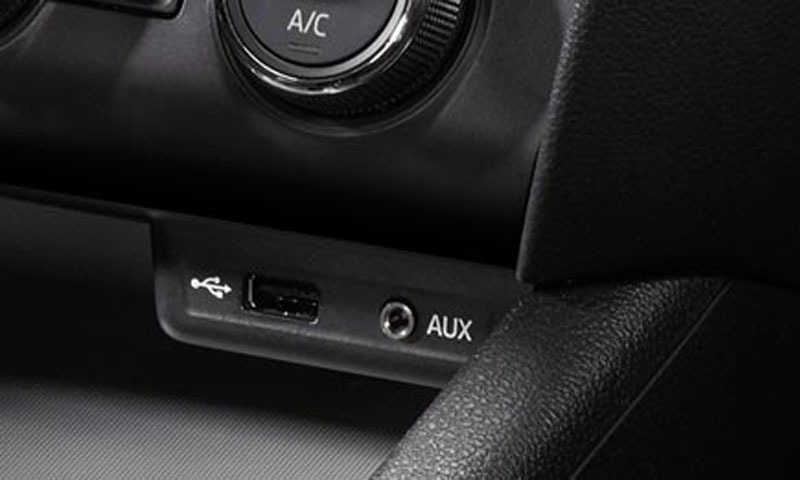 The X901D-OC3 includes a special cable that connects the USB / AUX port in the centre control with your Alpine system to maintain these useful connectors (Model Year 2016 Octavia with SmartLink may require an additional cable). 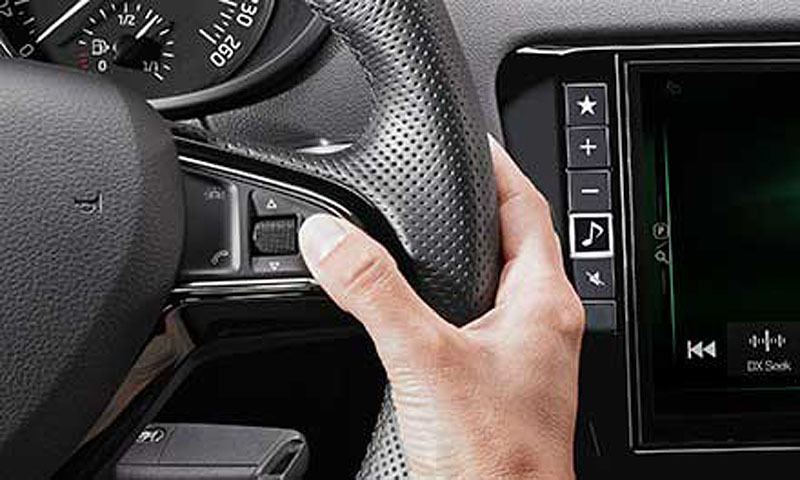 Upgrade your Alpine Infotainment system with DVD and CD playback capability. 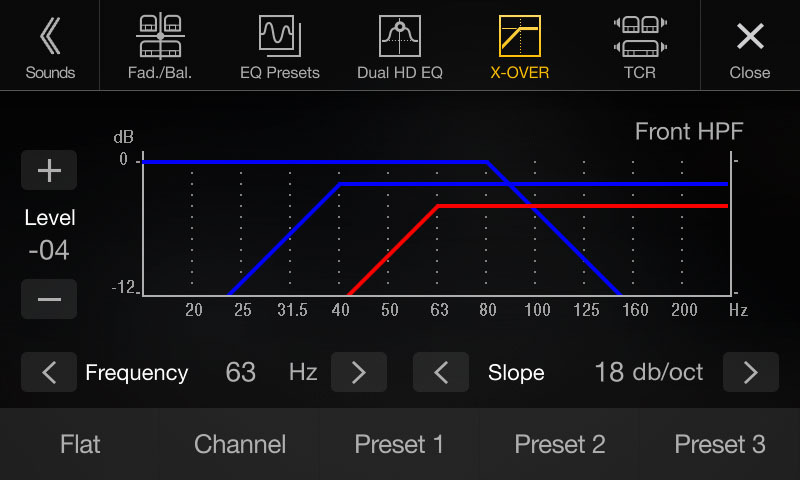 The DVE-5300G can be custom installed anywhere inside the Octavia. 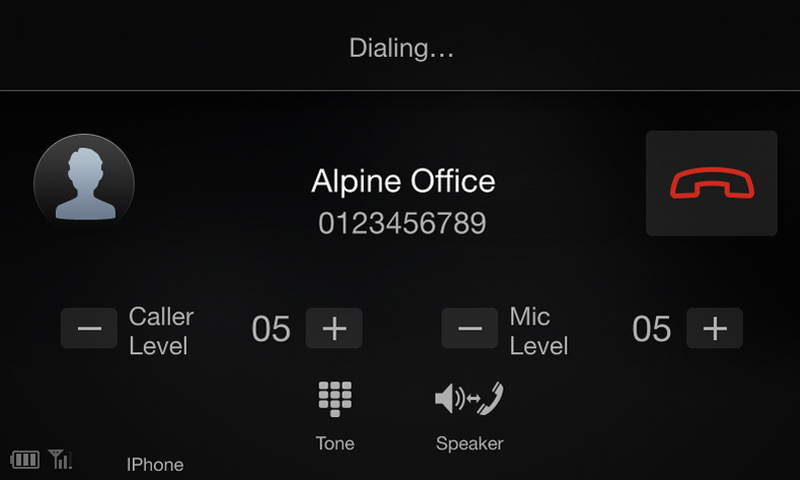 The Alpine system is fully compatible with the latest smartphones, so you can enjoy digital content stored on your phone such as music or video files, access your phonebook or simply charge your phone. 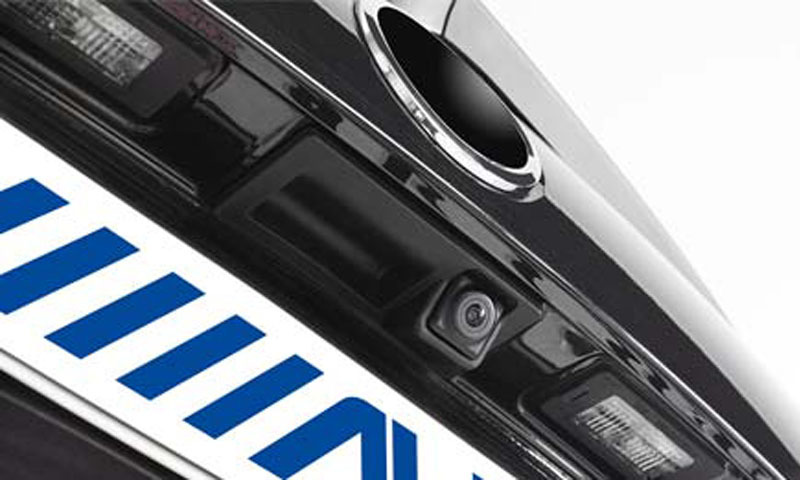 ^^Please seek the advice from one of our staff before purchasing any perfect fit solutions to ensure your vehicle is compatible for installation.